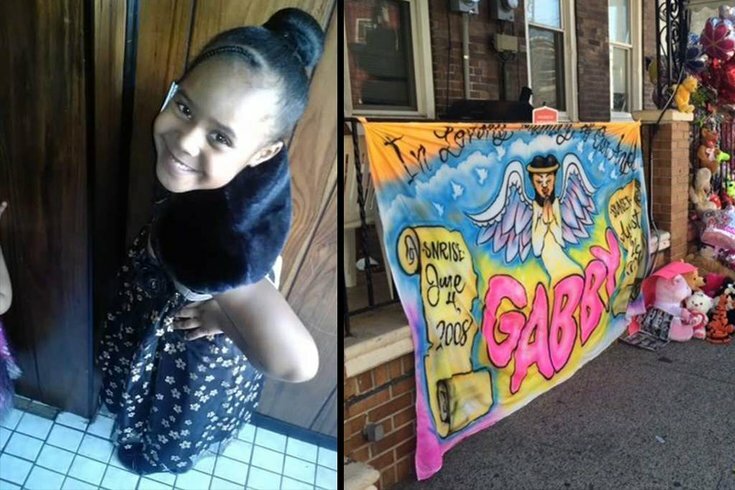 Gabby Hill Carter, 8, was playing in the 900 block of South Ninth Street in Camden at about 8:30 p.m. on Aug. 24 when she was killed by a stray bullet during a shootout between rival drug gangs, according to authorities. A Camden County grand jury has indicted three people in connection with the killing of 8-year-old Gabby Hill-Carter of Camden. The girl was shot in the head on Aug. 24 as she played in front of her home, a victim of street violence between gang members. Tyhan Brown, 18, of Camden, was charged with first-degree murder. He was also indicted for conspiracy to commit murder and attempted murder for shooting at Amir Dixon, who was the intended target of the gunfire that killed Hill-Carter. He was also indicted for two weapons offenses. Brown’s mother, Shakia Land, 35, of Camden, was indicted for one count of fourth-degree charge of hindering apprehension for providing false information to homicide detectives during the investigation. Brown’s girlfriend, Natasha Gerald, 19, of Sicklerville, was indicted for one count of third-degree hindering. Hill-Carter was riding her bicycle when gunfire began on the street and she had tried to get safely off the street before being hit by a round intended for Dixon. She died two days later. A jury returned the indictment Thursday. Police have said Brown had several confederates, but no one has been charged. Brown's own father was slain in a Camden murder. Authorities have never solved that case.